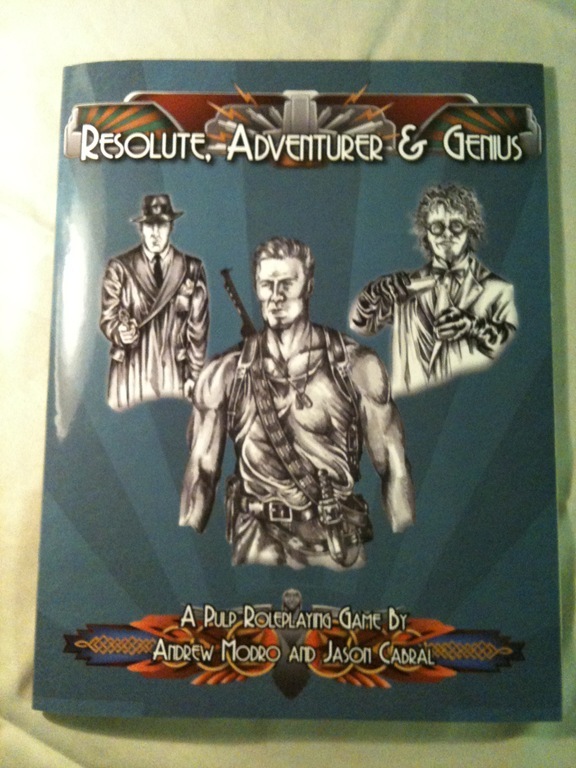 Resolute, Adventurer & Genius looks great in print! 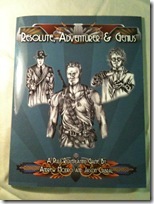 A couple of weeks ago I uploaded Resolute, Adventure & Genius to the print-on-demand site Lulu. 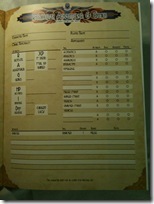 While I have used Lulu to print a couple of copies of Warrior, Rogue & Mage before, my experiences with Lulu are limited – especially when it comes to full-color printing. I feared there might be problems with transparencies and image quality, but luckily my fears where mostly unfounded. 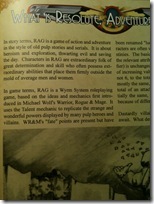 Recently I got my first print copy of RAG and I have to admit it looks awesome. The print quality is great and it looks even better than on the screen. 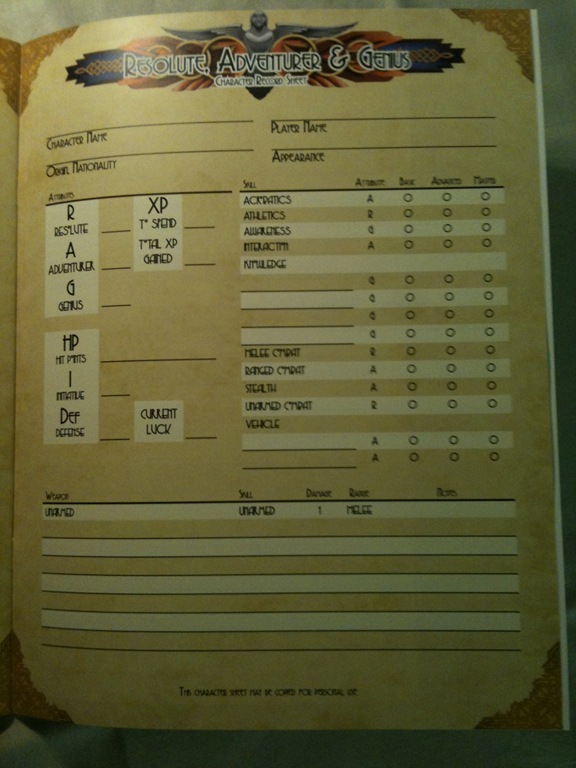 Alas there are a few slightly pixelated images but this is only a minor blemish. 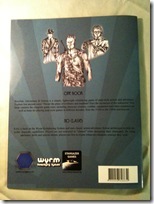 Both RAG and WR&M are from now on available on Lulu for you to order. Please note that the listed price just covers the printing costs. Neither Andrew, Jason, nor I make even a cent from those books. 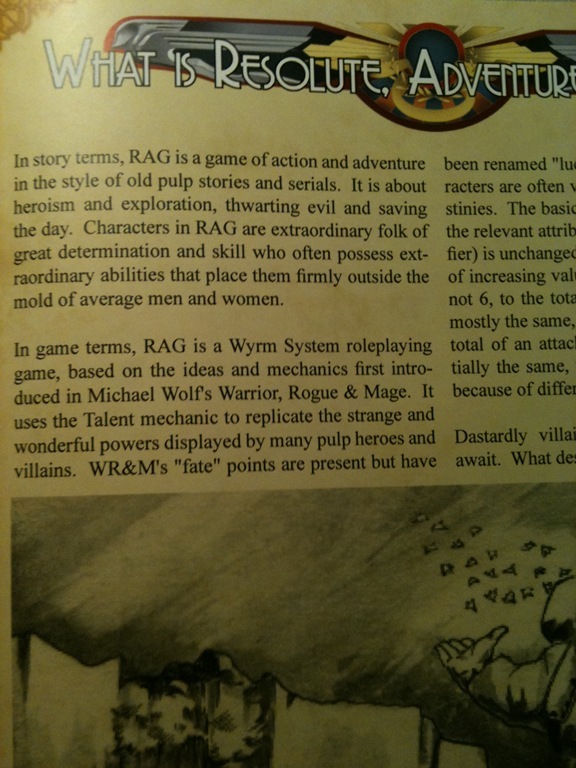 RAG sets you back mere €7.42 (which should be about $9) and WR&M is available for the slightly lower price of €7.38. 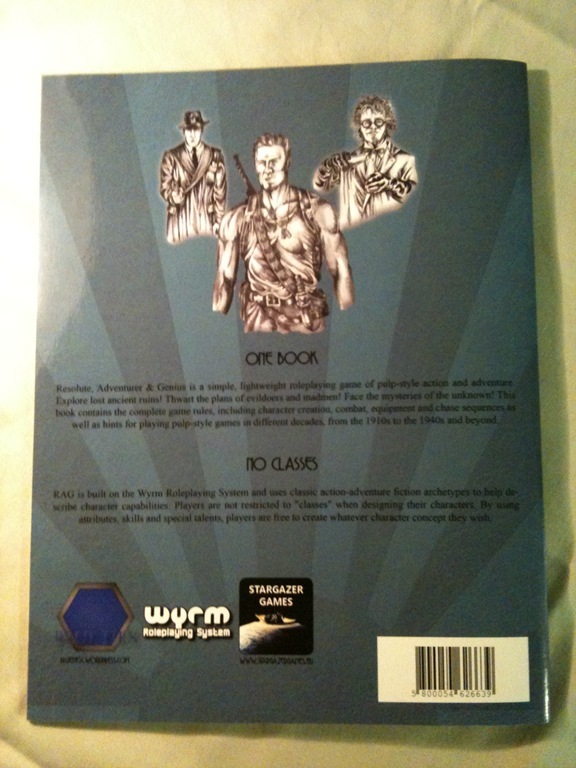 You can order both books at the official Stargazer Games storefront at Lulu.